Science has been misused for political purposes many times in history. However, the most glaring example of politically motivated pseudoscience—that employed by U.S. government representatives to explain the destruction of the World Trade Center (WTC)—continues to be ignored by many scientists. As we pass the 10th anniversary of the introduction of that account, it is useful to review historic examples of fake science used for political purposes and the pattern that defines that abuse. All six of these characteristics of pseudoscience are exhibited by the U.S. government investigation into what happened at the WTC on September 11th, 2001. That investigation was conducted by the National Institute for Standards and Technology (NIST) and it had much in common with the examples given by Oreskes and Conway. As with the false science that supported tobacco use, millions of lives were lost as a result—in this case through the “War on Terror.” Like support for the Strategic Defense Initiative, the abuses were focused on bolstering the military-industrial complex. And as with the environmental examples, NIST’s manipulations affect everyone on the planet because they prop up a never-ending war. NIST performed no physical experiments to support its conclusions on WTC Building 7. Its primary conclusion, that a few steel floor beams experienced linear thermal expansion thereby shearing many structural connections, could have easily been confirmed through physical testing but no such testing was performed. Moreover, other scientists had performed such tests in the past but since the results did not support NIST’s conclusions, those results were ignored (see peer-review comments below). For the Twin Towers, steel temperature tests performed on the few steel samples saved suggested that the steel reached only about 500 degrees Fahrenheit. This is more than one thousand degrees below the temperature needed to soften steel and make it malleable—a key requirement of NIST’s hypothesis. NIST responded by exaggerating temperatures in its computer model. After criticism of its draft report in April 2005, NIST quietly inserted a short description of shotgun tests conducted to evaluate fireproofing loss in the towers. These results also failed to support NIST’s conclusions because the shotgun blasts were not reflective of the distribution or trajectories of the aircraft debris. Additionally, the tests suggested that the energy required to “widely dislodge” fireproofing over five, acre-wide floors—required by NIST’s findings—was simply not available. Congratulations, a brilliant article with loads of good informations and links. Just look at climate “science”. Worst of all, the saturated fat/cholesterol scam. The consequences have been arguably far greater than GWOT in terms of lives lost. Thank-you Kevin for your energetic research and writing… very inspiring! Some of us out here are listening! All very good, but an examination of Orrestes’ own swervings from scientific method in service to the ‘warmist’ agenda should have sounded a warning to mr Ryan. eg. the shoddy basis for her claims that 97% of scientists support “The Science”. For a normally meticulous researcher, I suggest that mr Ryan has not checked her out all that thoroughly. A quick perusal of the one star amazon reviews of her “Merchants of Doubt” should raise serious doubts as to her motivation and methodology. Her ad-hominem attack style, in itself, should sound the alarm. The elephant in the room which consistently escapes the notice of politically purblind far green left eco-warriors such as N.O. is the cabal of far more powerful interests , specifically banking, who must be delighted to have Orrestes et al, all looking in the other direction for their villains! Otherwise, a fine rational artical as ever Kevin. Thank you so much for the last paragraph. It points to the most successful and most alarming layer of the 9/11 conspiracy: the apparent amazingly effective censorship of a self-evident televised criminal controlled demolition of the twin towers and of its transparent cover-up. Much evidence supports the theory that the 9/11 false flag and Osama bin Laden’s associated aerial prowess suffered from error and improvisation. By contrast, there is no question that the censorship was been masterfully prepared and executed. Hence the conspiracy theory that the 9/11 censorship would be only one manifestation of a much larger conspiracy. I’ll add that the technical censorship of the World Trade Center’s controlled demolitions is a worldwide phenomenon. Particularly intriguing is the continued silence of engineering institutions in countries that are ostensibly threatened by some U.S. military intervention, like Iran. All institutions serve first and foremost state authority. GWOT serves all states to the degree that they utilize it. It’s there for the taking. For example, Iranian authorities use it to rally domestic support for measures taken against the Taliban among others. Any threat can be claimed “al Qaida linked” and dealt with accordingly. Which leader would give up such power? Hugo Chavez. This is one of your best articles. There’s a great need for methodology in exposing establishment corruption, given that you can’t expect the establishment’s judiciary to do it. Thank you once again kevin. Very interesting and concise compilation of the facts and who is ultimately involved with it’s coverup. A simple quantificaton of conservation of momentum for the building mass during their collapse is yet another example of the science that is conveniently missing from the nist “analysis”….and surely someone in the controlled media has the ability to do a little simple physics also. It seems interesting, also, that both Science and Nature published a number of items about thermitic materials prior to 9/11, some dating back to the 30’s, but none since. Likewise Proceedings of the National Academy of Sciences (source). Also worth remembering is the paper by Kieth Seffen of Cambridge University, an attempt, it seems, to harness the scientific reputation of the world’s most famous center of scientific learning, in support of the same bogus “scientific” explanation of the collapse of the Twin Towers as that offered without benefit of evidence or inquiry by Science Magazine. Just wanted to thank Kevin Ryan for his excellent research and contributions to truth and justice. I also wanted to alert everybody to the fire in the skyscraper 2/21/15 in Dubai, called, ironically, The Torch. A massive fire and the building didn’t collapse. Let’s all use this event to saturate the message boards and blogs with the facts of controlled demolition on 9/11. Science died long before 9/11.. it was and IS bought and paid for.. scientists will lie, cheat, steal commit outright fraud FOR THE HIGHEST BIDDER and FUTURE FUNDING! Got Chomsky to engage me in a lengthy email chat over a period of about a week or two. I started it with claiming he is exhibiting characteristics of senility. He repeatedly attempted to use ad hominem and straw-man false logic in our discussion. His stance seems to throw light on why people embrace not being of integrity, misinforming others as well as the self. He has continually voiced support for pursuing a “syndicated anarchy.” That assumes we don’t have such now. Our current social conditions appear similar to what was depicted in one of the original Star Trek series, “A Piece of the Action.” There are many claims of legitimate governing systems but they are merely gangs of people who seek to align with power. Belief in epistemic relativism, what Daniel C. Dennet called “a mental aberration,” appears wanton. It is basically the opposite of the scientific method, weight of opinion is considered to determine truth. Suspect, in line with your final warning, lack of integrity in communications will continue and exacerbate until and if we find a functional way to govern ourselves. Heinlein voiced the Fermi paradox as “Can intelligent life survive its own information explosion?” H.G. Wells voiced similar concerns in his statement “Civilization is in a race between education and catastrophe.” Edward Hess’ recent book “Learn or Die” appears to plumb the characteristics of the situation though one might gain more insight from it if considering the organization we need find and sustain is our humanity and not any nation or corporation. Borrowing a bit from Dumas, one for all and all for one or nothing. Is the builder of the Boston bombs still on the loose? (CNN)It was a sophisticated attack with sophisticated devices. Authorities quickly identified the Boston bombing suspects, but almost immediately after Tamerlan Tsarnaev was killed during the manhunt for the perpetrators and Dzhokhar Tsarnaev was captured, investigators privately questioned if more people were involved. If there were others, perhaps a bomb maker is on the loose. Dzhokhar Tsarnaev told police he and his brother built the bombs, but court documents show some people involved in the case had their doubts. The bombs were described as powerful pressure-cooker explosives controlled remotely. There were fuses from Christmas lights and detonators constructed from model car parts. The twin bombings in April 2013 killed three people and wounded more than 250 others. “These relatively sophisticated devices would have been difficult for the Tsarnaevs to fabricate successfully without training or assistance from others,” prosecutors wrote in a filing opposing a move by Tsarnaev’s lawyer to throw out statements he made in the hospital. Two years after the attack Michael Marks, a former special agent for the Naval Criminal Investigative Service, agrees on the technical aspects of the bombs. They were the kind of bombs that need testing to make sure they work the way you expect. Dzhokhar Tsarnaev told FBI agents he and his brother built the bombs following instructions from al Qaeda’s Inspire magazine. No one has been publicly named as a possible co-conspirator. Investigators have focused on Tamerlan Tsarnaev’s suspected ties to militants. In 2012 the older Tsarnaev spent six months in Russia. Authorities have questioned how much exposure he may have had to radicals and whether he could have received training there. There are other clues that the brothers would have needed help with the bombs. There wasn’t trace evidence — black powder from fireworks — found in either home, their cars or anywhere associated with them, the court documents said. Also, investigators apparently were troubled that they recovered one remote-controlled detonator at the scene of the bombings when there should have been two. That suggested the other was being kept to use with other bombs. Marks said investigators didn’t find circuit testers. “You want a separate circuit tester in order to test the functionality of the components without it being hooked up to the actual device, for your own safety,” he said. The trial underway in Boston will center on not whether Dzhokhar Tsarnaev did it, but why he did it. The prosecution will paint a portrait of a cruel co-conspirator, an equal partner in hideous crimes. A man who planned to kill and did. But the defense will draw the accused as a boy living in the shadow of a mastermind older brother. Younger, struggling in school, abandoned by his parents. An easy victim of deep manipulation. The question of how he was influenced is essential to the case. No, the NIST WTC Reports are not a compilation of other articles or reports. And obviously they can’t be a compilation of the articles you cite because most of those came out years after NIST published its WTC reports. And so, on the face of it, one might consider those papers to legitimize the conclusions put forward by NIST since, after-the-fact like you note, the review process would have been applied to those conclusions. 1. Do they in fact support NIST’s conclusions? 2. Were they in fact reviewed as one would hope they would? 3. The sufficiency of kinetic energy gained to start crashing floors, and more specifically the core rather than just layers of trusses. 7. The horizontal orientation of the WTC7 roof? Was any of this explained in the presumably peer-reviewed literature? Did people TRY to explain them? What are, in fact, the questions or the discussions that those papers address in your view? 8. Do any of them manage to exclude controlled demolition? Do they try? No, I haven’t read any of them. I am very sceptical of this official line, because it looks like these publications have been tailored to fit (and support) the conclusions of the official story, which I find ludicrous, and many if not most use tweaked computer-models. My family is the majority owner of a top-200 ENR construction company, which has built many 10-20 story high-rises. I investigated the twin towers collapse reasonably well. If I or my family had come to the conclusion that fires less than 1000 F could have brought down large skyscrapers, we would have quit the business or greatly increased load-bearing capacities. Instead, we have done neither, and as far as I can tell industry standards have changed little or nothing. @Kevin Ryan Would you say the 9/11 truth movement is politically motivated in it’s use of science? Would you say the truth movement has a political affiliation? The 911 truth movement has no party political affiiliation, it is across the political spectrum, I am talking about political with a small ‘p’. It is a campaigning organisation that talks about the wars that have resulted from 911 and the restrictions on freedoms etc. and the intention is to undo all of those things by undermining the ‘official story’ of 911. That is not a scientific motivation. It is an ideologically driven one that is not conducive to scientific objectivity. I say clearly n o, because ae911truth.org and its core members are professionals in buildings construction. 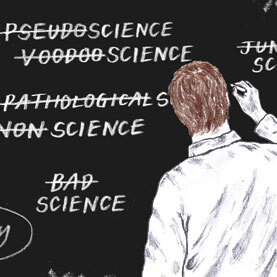 A politically use of science can e ruled out and can be proven. NIST is a goverment institution with all its (political) implications. Would you say AE911Truth is a campaigning organisation? What are they campaigning for and what is their objective? I don’t know many groups of engineers and architects doing world tours and talking about stopping wars and rolling back the security legislation like the Patriot Act etc. I don’t think I’ve ever come across an organisation of engineers less interested in explaining the collapse of the buildings on 911. They don’t want it explained , unless it involves explosives. Richard Gage’s presentation – and I’ve been to one – is almost exclusively about explosives. They have no interest in any other explanation for the collapse of those buildings. On the contrary any alternative explanation is subjected to criticism and attack as if even suggesting other alternatives might be an indication of some kind of complicity in a crime. Their is no public debate on 9-11 because debate would be devasting to the worlds financial elite. Consider this argument: if OBL really took credit for 9/11 then why didn’t he crow about taking down Bldg 7 as collateral damage? Surely this would have proven Alahas blessing. Keep up the great work Kevin!! There is no alternative explanation as controlled demolition (especially for WTC 7) , because WTC 7 collapsed totally for the first 25m (32m following NIST) in freefall.If you have another exlanation for these freefall phenomenom, please show us. This is not a question of having no interest for the total collapse in its footprints for these three skyscrapers, there is no other rationale as controlled demolition, when the principles of science are followed! See the work and proofs of ae911truth.org. Are AE911 truth looking for an alternative explanation? I’ve been to a Richard Gage presentation and it was all about explosives. There was one just hypothosis put forward. Everything was compared to explosives. The presentation started with the consequences of 911, the wars, invasions, the security and surveillance etc. and how exposing the lie of 911 would help to end all these things. Well I’m all for ending wars and conflict but that has nothing to do with science and I have managed to get to age I am without ever been told by anyone about controlled demolition and what does or doesn’t or can or can’t happen in a controlled demolition. Controlled demolition is not a structural explanation for the collapse of buildings it’s a non-structural one. It’s an explanation that says ‘we can’t explain it – it must be explosives’ – after making little or no effort to explain it other than by explosives. They don’t want an explanation that doesn’t involve explosives because they have tied their explanation to a moral crusading purpose ,to stop wars and surveillance etc. I asked Richard Gage if he had evidence for cut steel and he talked about these pictures with the big diagonal cuts but said they couldn’t say they were results of cutter charges as they could have been done during the clear-up of the site- which they obvious were. If all these steel supports were cut then they would be everywhere , cut. I see no evidence of it. So please make an effort to explain how e.g. WTC 7 could totally collapse as seen, without explosives. NIST did this with a (secret!) computer model, making belive that a single column out of 82 columns could bring the main part of WTC 7 6,9 seconds later into freefall. This is physically not possible. Therefore there NISTs computer model was not brought to public verification. There is no other explanation for the mode of failure of about 62 columns at beginn of freefall than explosives. If cutter charges were used is another question. This assumption is false. You can use for example high-tec/military explosives also to knock out e.g. the core columns every 10 floors from top to down the towers. This is what we saw. By the way NIST investigation on the towers only went to the initiation of the totalcollapses, they stopped ther “investigation” exactly here and did not investigate e.g. the squibs (which also proof the top down controlled demolition of the twin towers) or the hot spots in all three footprints (see Lidar fotos), or they don t looked for explosives (residues) as they should , they did not explain why nearly all the towers content , concrete, glass, together with more then 40 % of the victims in there, went into finest dust (see also the three huge dust clouds, the initial pyroclastic like flows) except the stee, which was found on ground zero and hastily shipped away. How many hints and proofs (especially the freefall for 25 m of the main part of WTC 7 ) do you need to abandon the idea that ordinary cutter charges were needed to bring the towers or WTC 7 down? How could he knew this? Never before a skyscraper (even hit by an airplane) came down, especially not in the way the towers did. NIST and other “experts” needed at least the damage and the hot fires and perimetral failing floors plus a totally failing remaining 42 core columns (there were no big fires in the core region!) to explain the initiation of the total collapse of the twin towers. By the way : nearly every child can see, that the twin towers and WTC 7 were demolished by obviously hig-tech explosives. Only politically confused and unexperienced people d ont see it. Look at the videos and the explanations in ae911truth.org. AE911Truth botched their answer or you have not faithfully reported it. Evidence of cut steel at the WTC is overwhelming. The photographs of the World Trade Center after the Twin Towers’ destruction clearly show that their steel columns have been cut into thousands of pieces. Moreover, most of these cuts are rectilinear and many are about 10 m in length, commensurate with standard flatbed trucks. This is, at first sight, compatible with the hypothesis of a controlled demolition and incompatible with an accidental destruction by airplane impacts and the ensuing fires. This incompatibility will be cleared whenever somebody–presumably a team of experts–will find a technically credible airplane/fire destruction scenario that would account for this as well as the rest of the macroscopic evidence. In the meantime, these steel cuts provide an important reason to disbelieve the airplane/fire hypothesis while they do not provide an important reason to disbelieve the controlled demolition hypothesis. Incidentally, it is generally an error to argue the triple WTC controlled demolition based on the steel cuts. People whose brains have been rewired along the superstitious attribution of 9/11 to Osama bin Laden’s fanatical hijackers have great difficulty, through no fault of their own, paying attention to an explanation more complex than a 30 s commercial. You will find your 9/11 curriculum much easier to teach if you initiate it with some undisbelievable teaser.